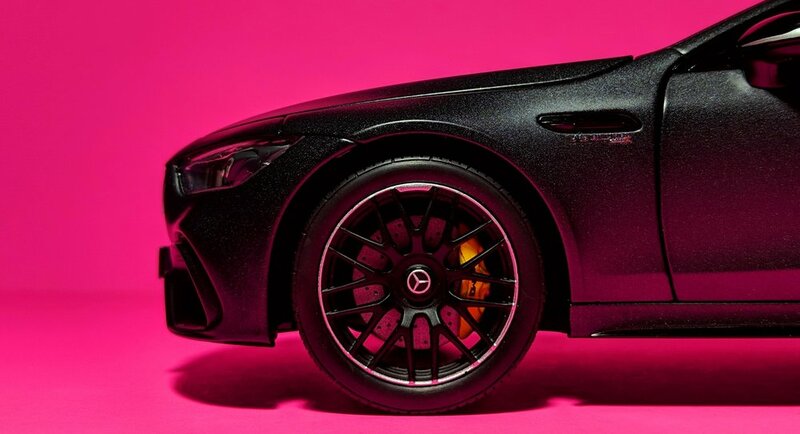 The AMG GT is one of the best sports cars money can buy. What happens when you add two more doors to it? 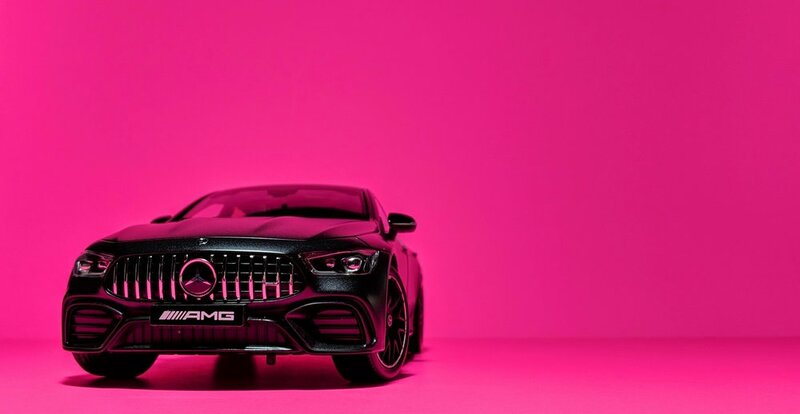 The GT63 is AMG’s own entity, not based on any existing Mercedes-Benz product. 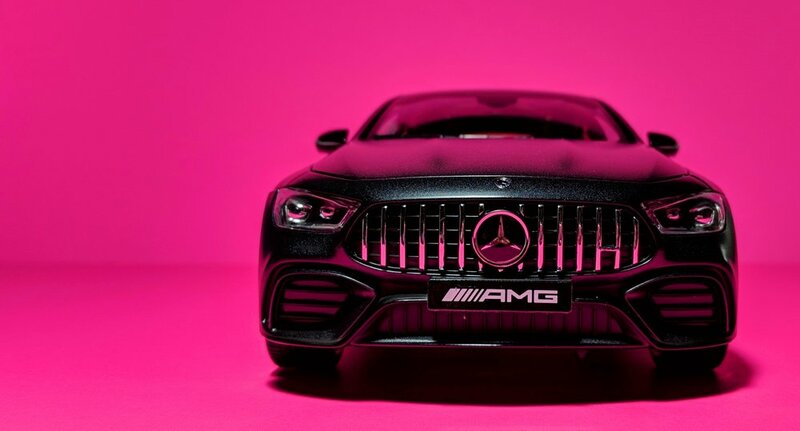 This is them saying, “We’re not just a tuning company; we’re perfectly capable of creating our own cars too!” AMG has already blessed us with the SLS AMG and AMG GT, but those are bonafide sports cars. 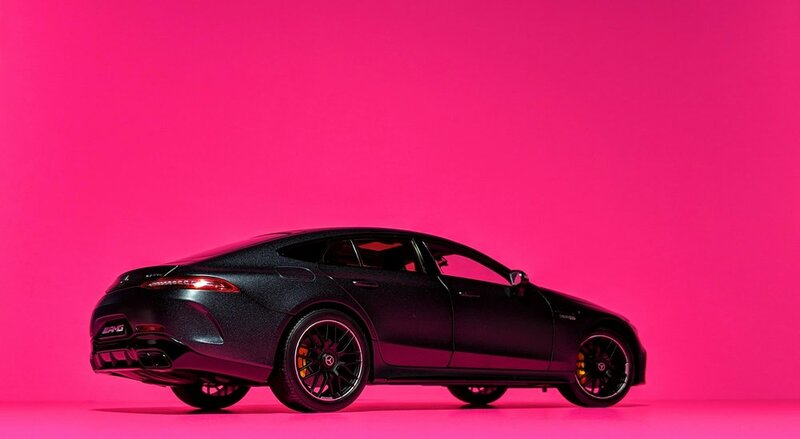 The GT63 is their first real audition for a piece of the pie that is the ultra-competitive luxury car market. Eerily similar to M-B’s own CLS-klasse, it’s a 4-door coupe, so there's already some internal clashing going on. But with the CLS63 AMG now discontinued, the GT63 fills in nicely where the top-of-the-line, high-performance model left off. The problem, however, is its price. At a 50% premium over its replacement, you have to wonder whether there’s actually demand for a car like this. 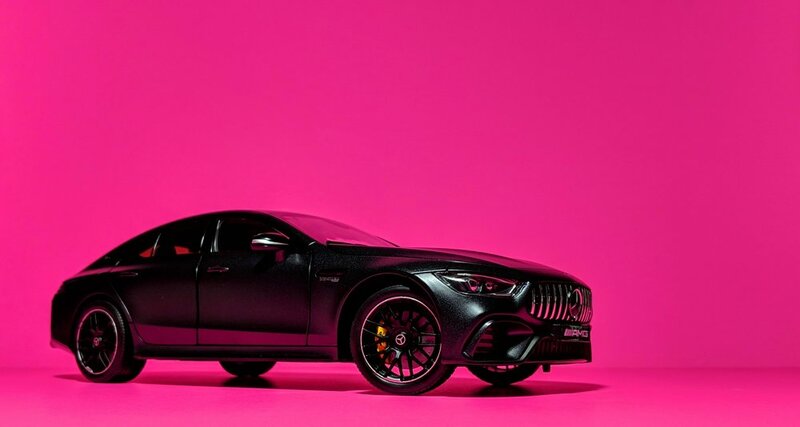 Nonetheless, I’m sure most of us would like to see AMG succeed, because we can’t get enough of their insane machines. Though its name is shared with the AMG GT, the GT63 uses a different platform to accommodate its larger size. However, many of its design cues are still derivative of its “sibling”, starting up front with the enormous, in-your-face grille with the vertical chrome slats. The eyes are similarly shaped but are now sharper and meaner than ever. 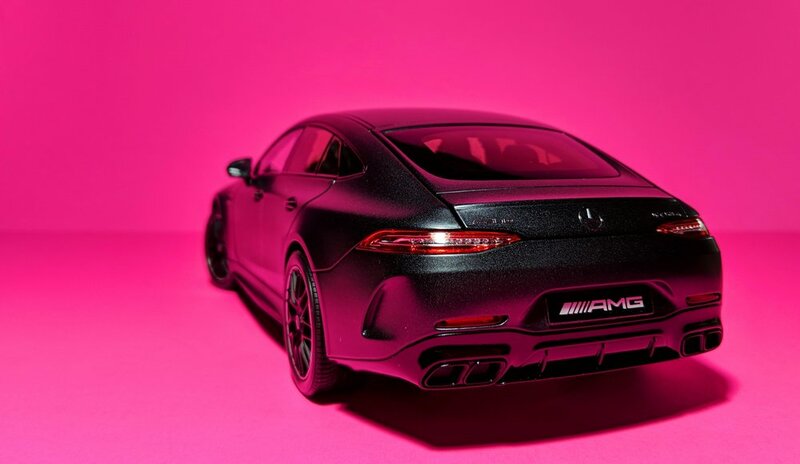 The sloping rear mimics that of the AMG GT, and the GT63 retains its sleek taillights as well as its two-tone mesh wheels. Hey look, no 4-door coupe will ever top the first-gen CLS in terms of design, but this isn’t too shabby either. 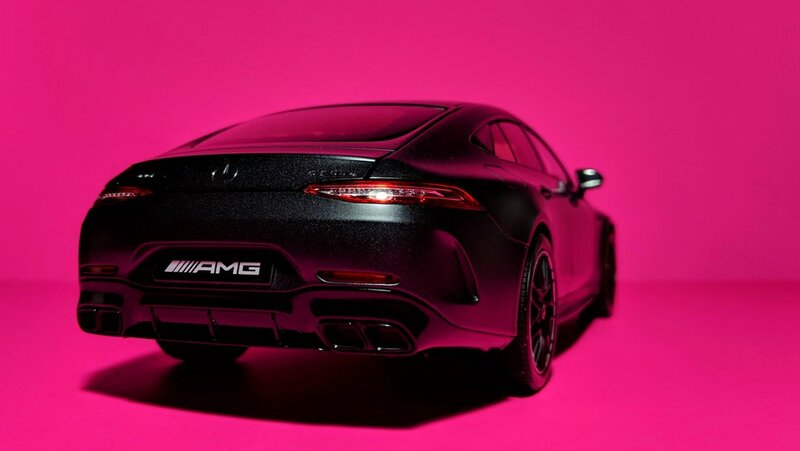 In summary: yes, the GT63 is very much a stretched AMG GT. This eighteenth-scale diecast model from Norev is both a hit and a miss. Like many other models from the French maker, the GT63 needs a more aggressive setup to bring out the sportiness of the real car. That means throwing on larger wheels with lower profile tires and dropping the car down a couple ticks. The shape of the wheels is also incorrect - they should be concave as opposed to flat-faced. It might not be the best visual representation of the GT63, but where the Norev shines are in its features and that fantastic interior. With wheels that steer and opening doors, bonnet, and rear hatch - as well as a working suspension - the model doubles nicely as a kid’s toy, though it’s a rather pricey one at that. 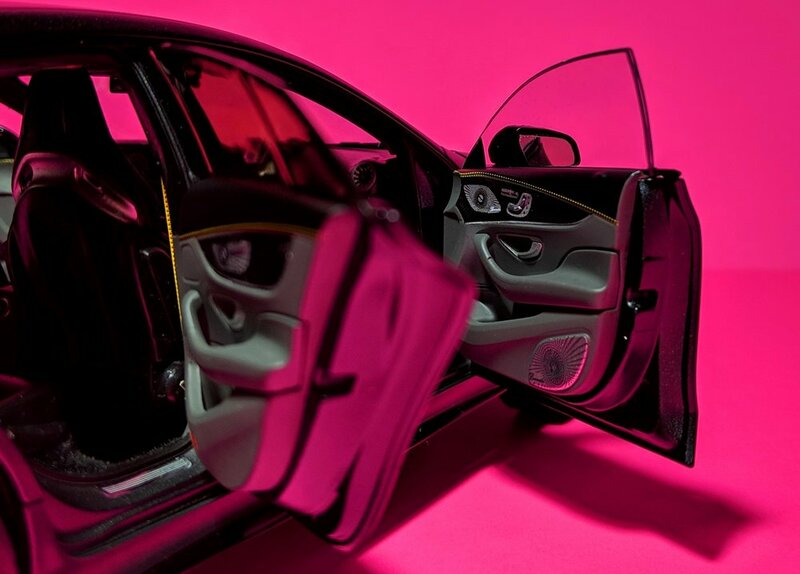 The dealer-exclusive tax applies here, but that’s justified with the sheer amount of detail on the inside. 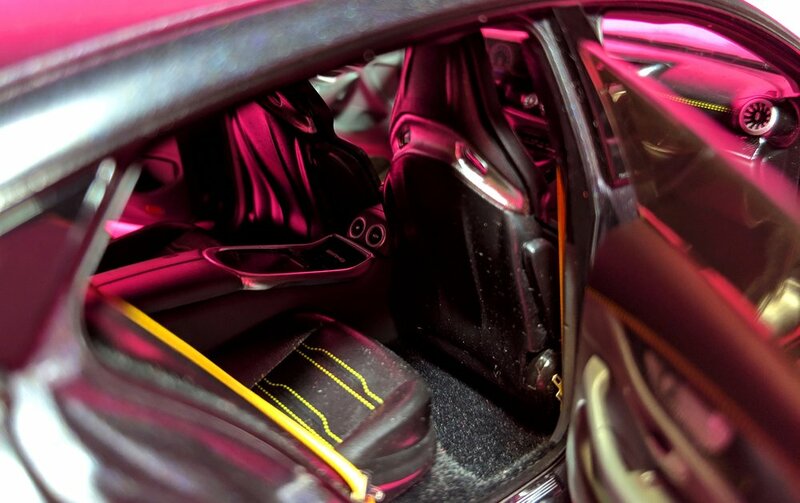 Take note, GT Spirit, of the yellow stitching on the GT63’s upholstery. There’s a lot to take in here, so I’ll let the photos speak for themselves.